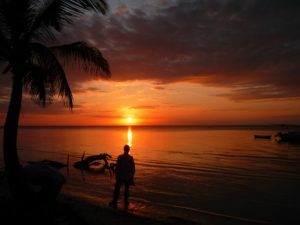 Belize is one of the destinations of our desert island survival trips. It’s a stunning place, and a paradise for many of nature’s most beautiful and intriguing specimens. You’ll have seen similar settings in a whole host of films; any setting with white sands, bright blue seas, and picturesque palm trees is similar to Belize. Here, though, we’re focusing on what sets it apart from those other islands. Firstly, let’s go through a few facts. Belize is bordered by Mexico in the north and Guatemala in the South, with the Caribbean Sea lying east. That means it’s north of the equator, but still reaps the rewards of consistent hot weather. As the only country on the east coast of Central America where English is the official language, it’s relatively easy to feel at home there. That said, exactly how home anyone can feel when they’re on a survival trip is a matter for some debate. Generally, Belize is a flat country. Towards the west, the landscape becomes mountainous, with rainforest dominating around half of the country. The other side of the country sees land turn to sand, and then to water, before you reach the cayes. These small islands are covered in palm trees and mangrove forests, and are surrounded by corals and stunning blue waters. Belize’s diversity when it comes to animals is great. With mammals and reptiles a plenty on land, and an array of marine species in the Caribbean Sea, there’s plenty for the nature watchers in the country, too. Wild jaguars, while not common, are evenly spread throughout the jungles, with the endangered howler monkey occupying similar locations. Tapirs, crocodiles, and sea turtles can also all be found, and we haven’t even mentioned the 60 snake species or thousands of insects that share these lands. If you’ve seen some of the above pictures and heard what we’ve had to say, and you’re interested in hearing more about how our trips work, please do get in touch. Fill out one of our online contact forms, and we’ll get back to you as soon as possible.